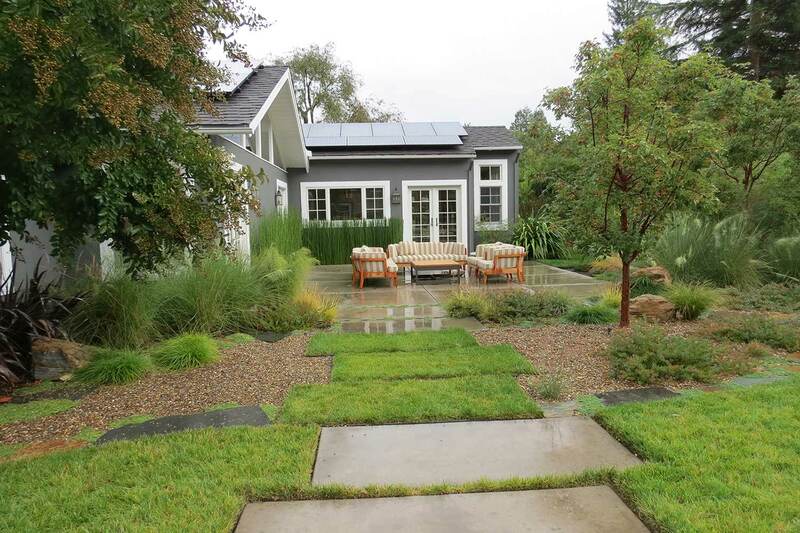 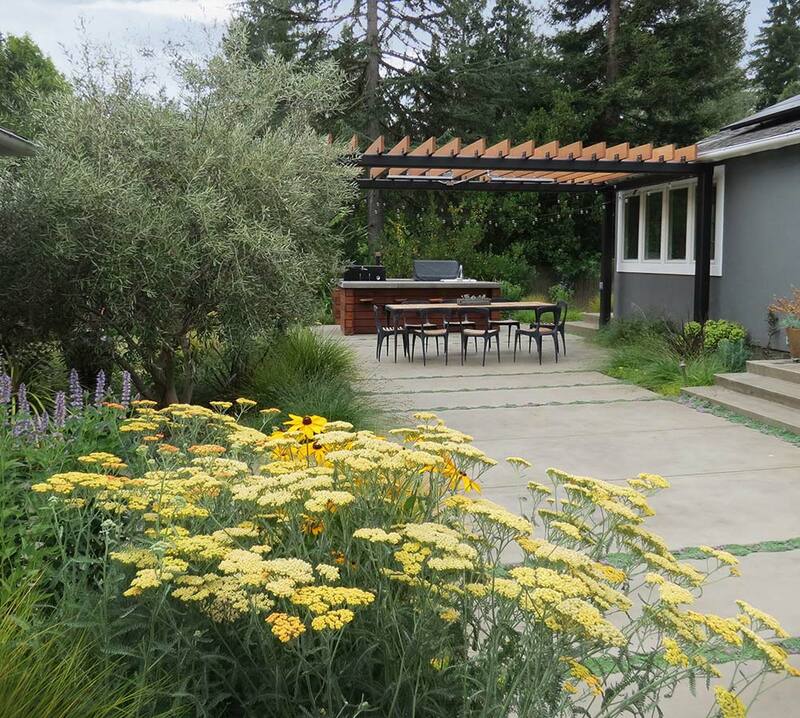 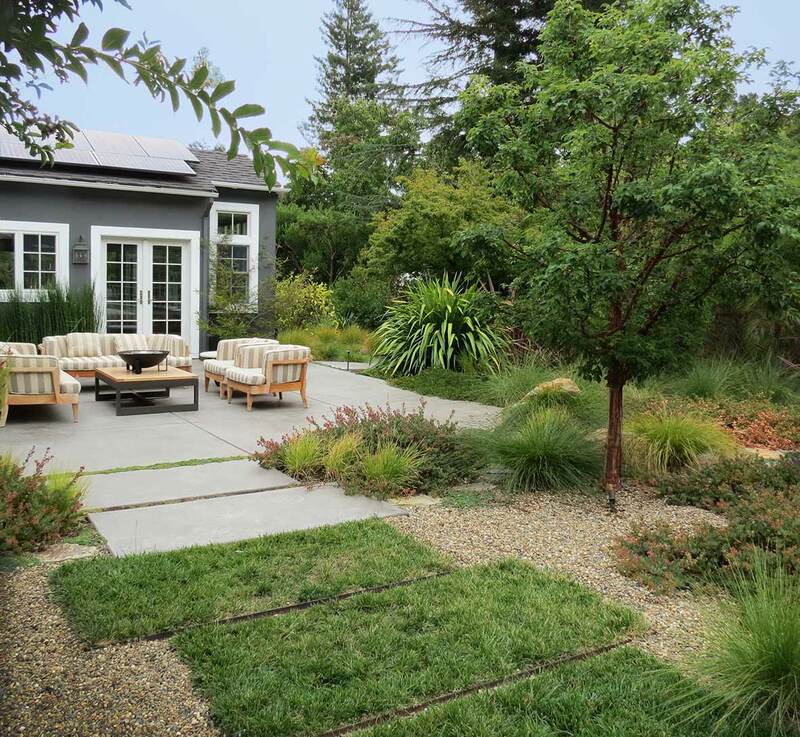 Formerly stifling seas of asphalt, these front and backyard gardens are restored to a more natural order via ornamentals and edibles that harmonize visually with the surrounding terrain. 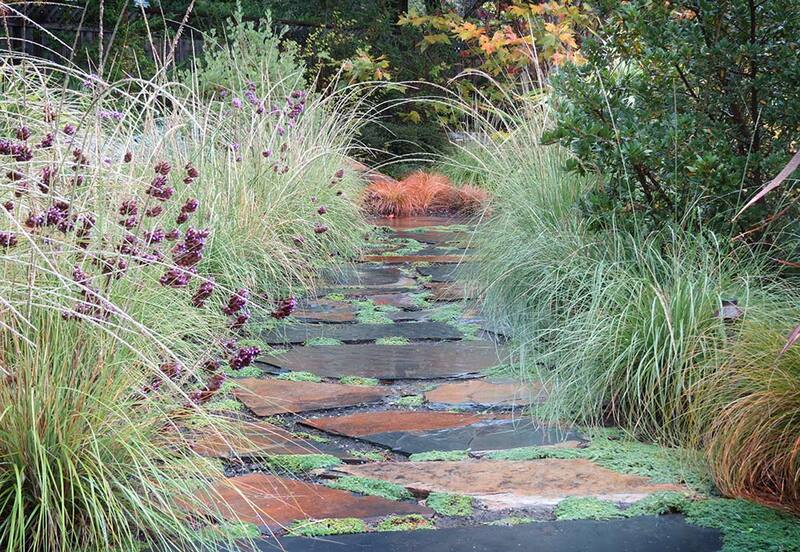 Mariposa slate paths echo the colors in the stacked-rock wall as ribbons of meadow grassland and masses of native and Mediterranean-climate compatible species flow gracefully across the landscape. 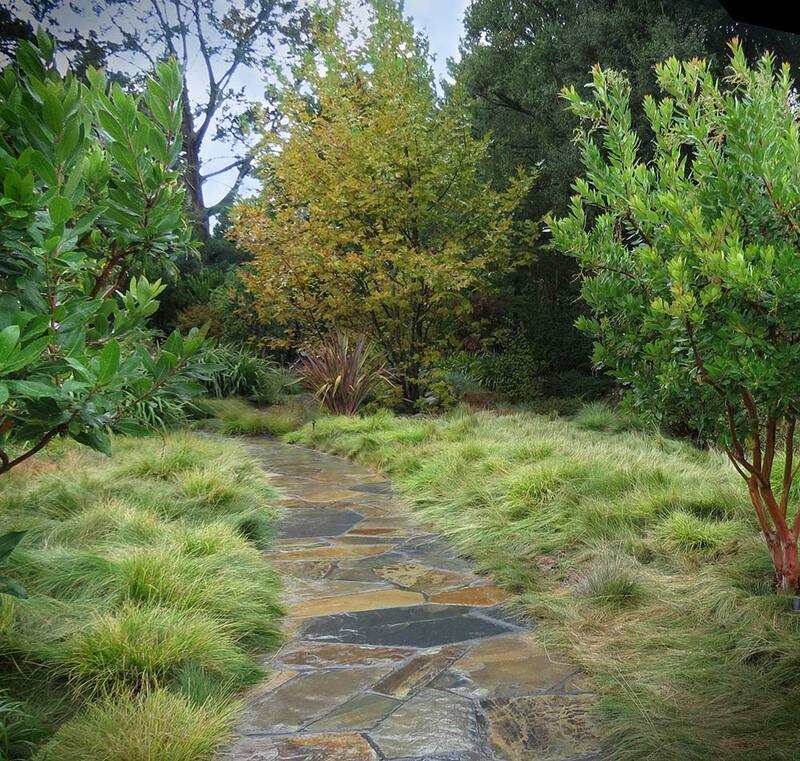 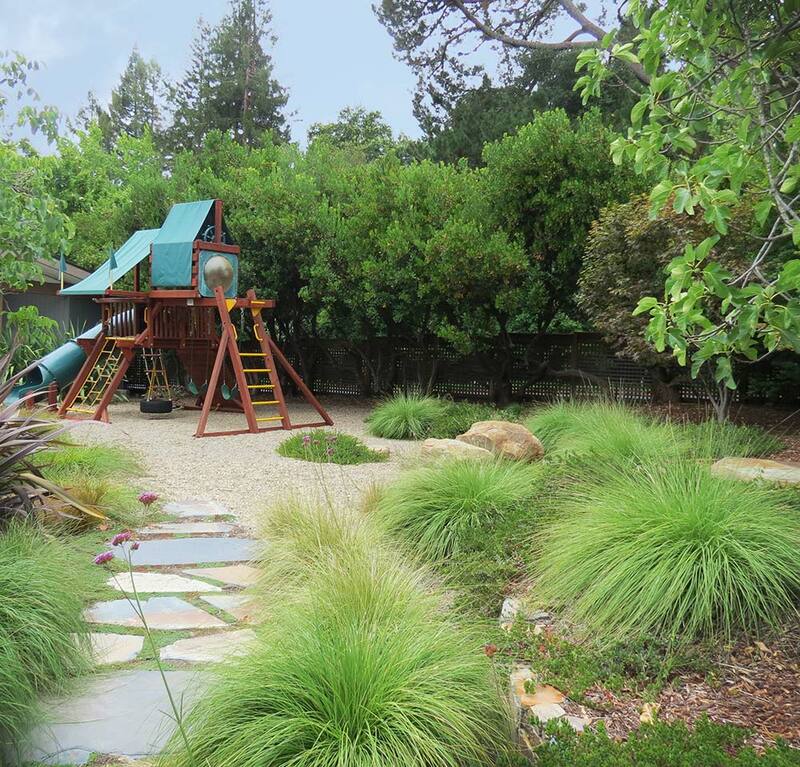 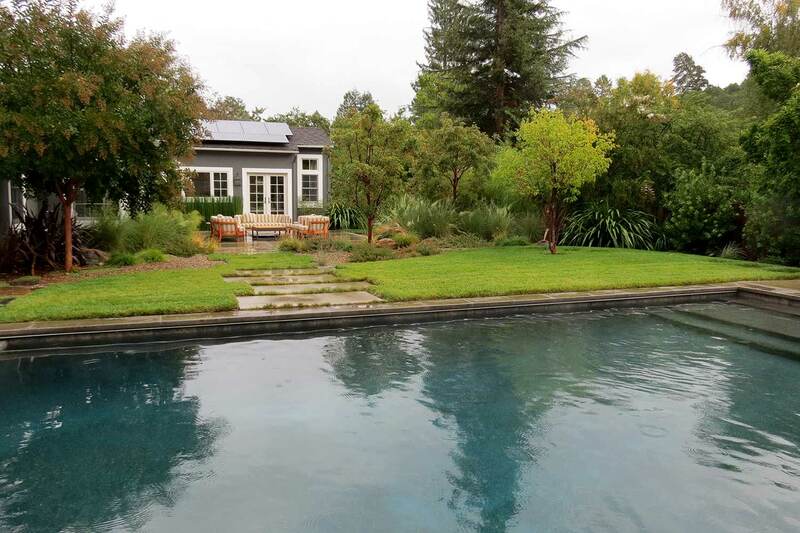 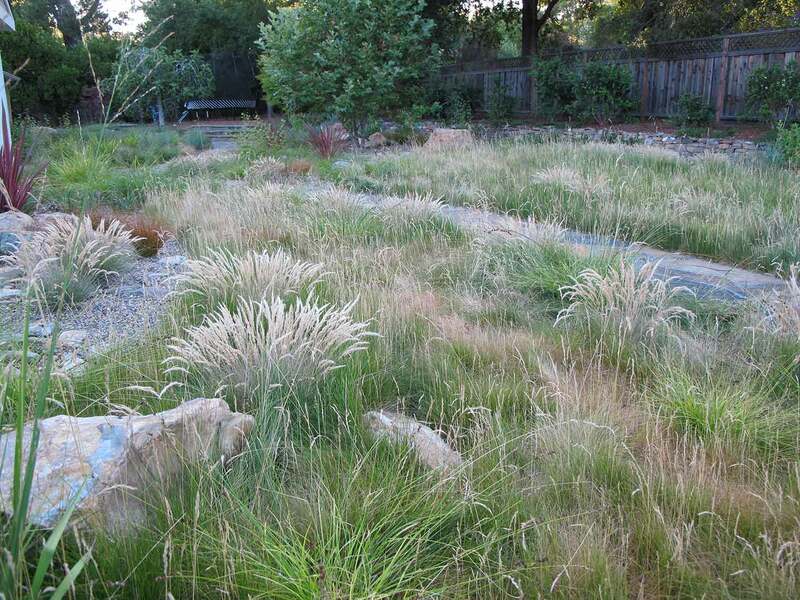 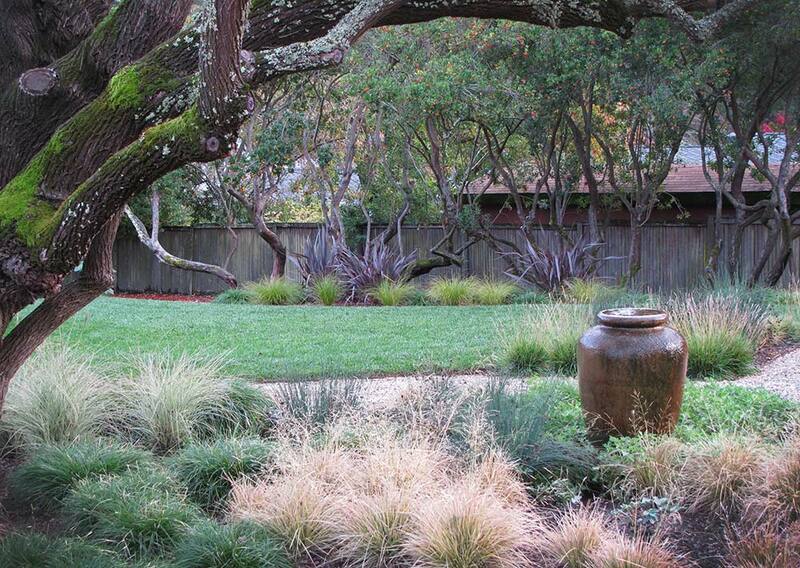 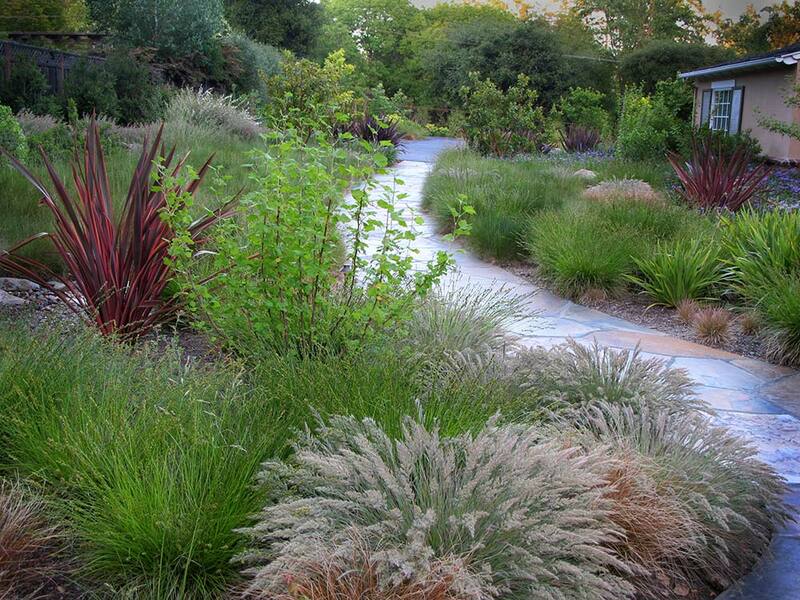 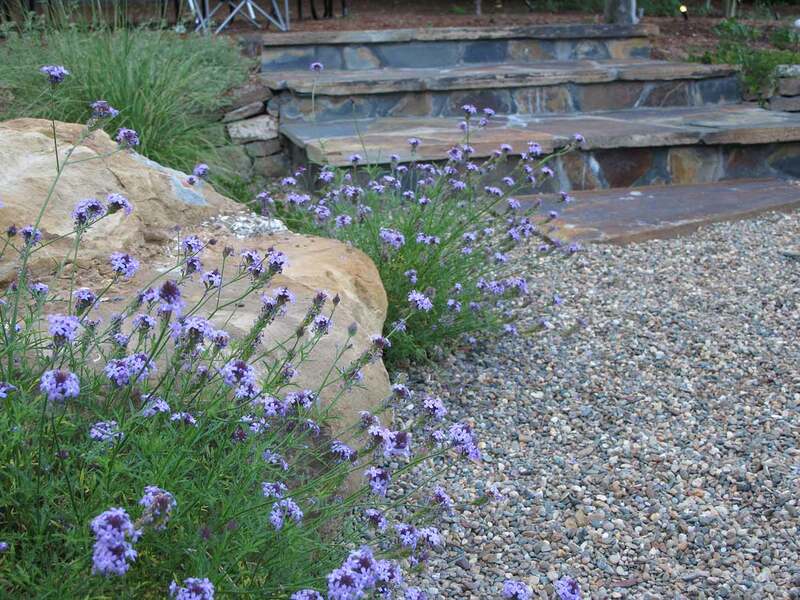 Recipient of the 2011 Gold Award from the Association of Professional Landscape Designers.